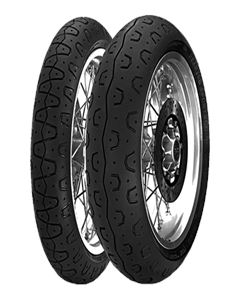 "Classic" tread made with technology and compounds specific for medium – high performance bikes. Excellent precision on entry into bends and easy handling on mixed routes. Radial carcass structure with a steel belt at 0° for excellent stability at high speeds and a great feeling of control even on the most demanding surfaces.